With hard work (former) shelter dogs give back. I remember the day the six-month-old Shetland Sheepdog was dropped off at the animal shelter where I worked. He was beautiful, with his sable coat and soft brown eyes, a breed I had always wanted to own and train. Within minutes I spent twenty-five dollars to make him mine. Even with a sold sign on his kennel, many customers who came into the shelter also wanted to buy him. My manager said I had to remove the pup to one of my crates in the back of my Toyota pickup. The beautiful dog was creating too much of a stir. I’m sure the manager wished he had asked a huge sum for the popular puppy. But, too late, the cute puppy was mine and I was beyond excited. Later I looked at the incoming paperwork. The reason for his impoundment was listed as “unable to housetrain”. I noticed the puppy’s whiskers were burnt off. It didn’t take a detective to figure out that the frustrated owner had used his cigarette to burn off the dog’s whiskers. Years later the dog would cringe around dog show judges that smoked. He never forgot the abuse. Over the next few weeks I got up the nerve to call the previous owner to figure out the breeder’s name so I could register the dog. The man was furious that I had obviously bought the dog to breed and make money. The only clue he would give me about the breeder was that she lived on a hill way out in Vernonia, Oregon. With my extensive list of dog show friends it didn’t take long to find the Shetland Sheepdog breeder. Soon I met with the couple who were not only angry at the man for taking the dog to the shelter but also were mad at me for wanting the dog’s papers. The couple wanted the dog back to breed. Finally the husband angrily said to the wife, “Just give her the dog”. The papers were signed and finally the Sheltie I named Briggs could be registered with the American Kennel Club. Several months later a vet examined Briggs and determined the dog was cryptorchid and could not be bred, which was never my goal. Briggs was neutered. Briggs was initially very timid, unsocialized and of course, not housebroken but I loved him and spent hours training him, taking him everywhere. The housebreaking was very easy. In the American Kennel Club and United Kennel Club shows Briggs earned many ribbons and placements and his Companion Dog and Companion Dog Excellent titles. But there was one memorable weekend in Canada where he excelled. He was entered in four trials over a two-day period. On the second day he won the coveted Highest Scoring Dog in Trial award. 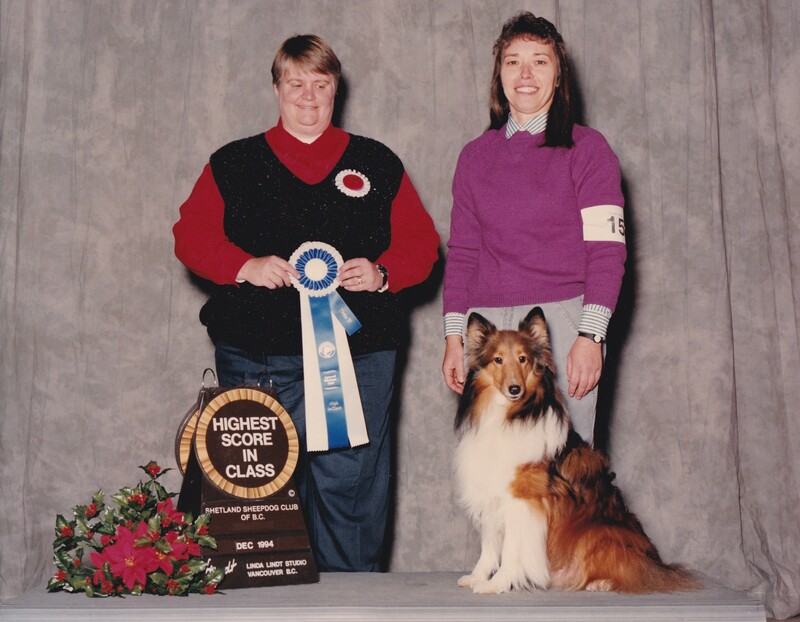 Overall he won Highest Scoring Aggregate Novice Dog in Trial, as well as highest scoring Shetland Sheepdog and Herding Dog. We returned to Canada several more times for another title and more ribbons. Briggs was featured in Deborah Wood’s book, Help for Your Shy Dog: Turning Your Terrified Dog Into A Terrific Pet, along with other dogs who overcame their timidity with training and love. He lived for almost fourteen years, eventually becoming a normal, barking Sheltie who loved life. Not long after I brought Briggs home a beautiful black and white Border Collie was dropped off at the Shelter. I put a lead on the dog and took it to the back compound, running through some basic obedience exercises with him. I determined he was extremely intelligent and once again paid a paltry sum and brought him home. A few months later I gave him to a friend who put agility, herding and obedience titles on the much-loved dog. Scotch, as she called him, also lived a long life. 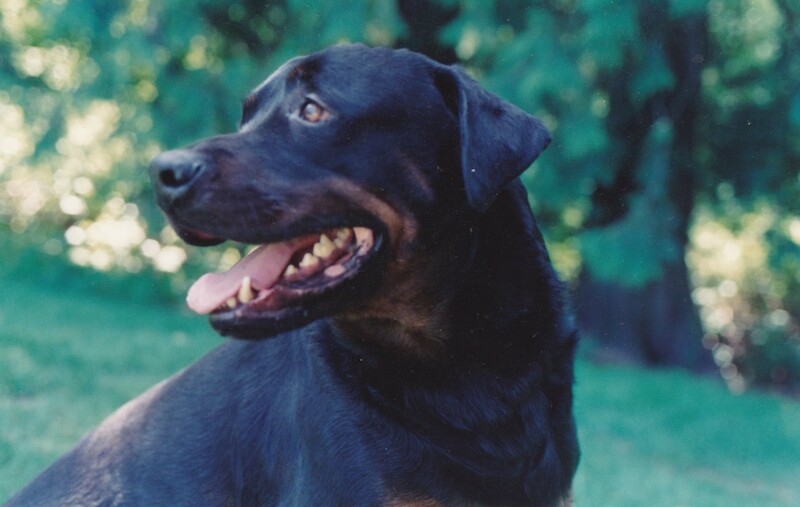 At that time Rottweilers were the “in” breed, which meant many ended up in the shelter, overbred and poorly understood. One day a male Rottweiler, an AKC registered, outstanding example of the breed, was left at the shelter with his papers. I called a friend and described the dog. Did she want him? When her husband, a Rottweiler and Doberman Pinscher enthusiast, came home that night and saw his wife standing next to the exquisite dog he went from very mad to saying, “Wow. Wow”. One more time I brought home another dog, a goofy looking young Rottweiler puppy. Gunner became my walking dog and was trained in basic obedience. He looked fierce but was really a big dufiss. It was my first encounter with breed prejudice but the first time I felt safe with a dog of this size next to me. When I took Gunner out of the back of the Toyota, people would grab their kids, jump into their cars and drive away. If they only knew how lovable Gunner was. Those were the fun years, learning years, training and rehabilitating good dogs. I learned that many, many dogs end up in shelters because they are bored and that many are unusually intelligent, coming from homes with nothing to occupy their time, with no attention or anything to do but be destructive. I learned not to underestimate problem dogs. With hard work they give back and become heart dogs, soul dogs, memorable dogs. 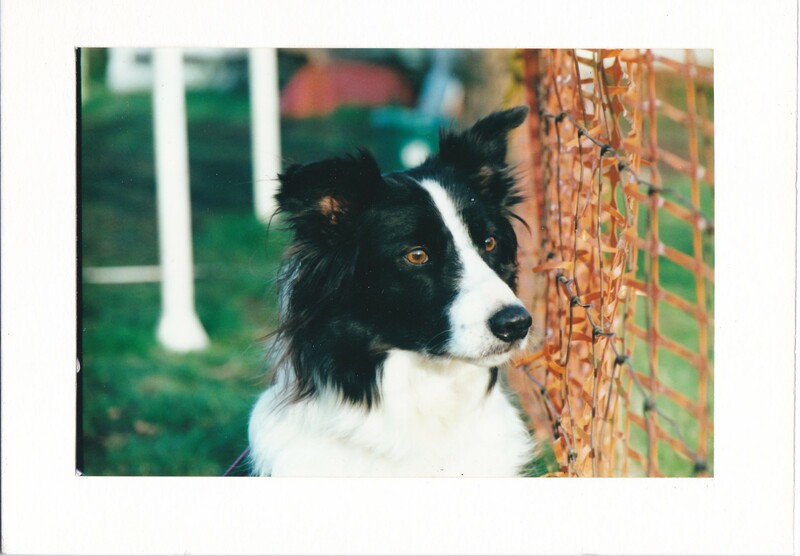 This entry was posted in Animal Shelter Stories and tagged Animal Shelters, Border Collie, dog obedience, Dog training, Rottweilers, Shetland Sheepdog. Bookmark the permalink.